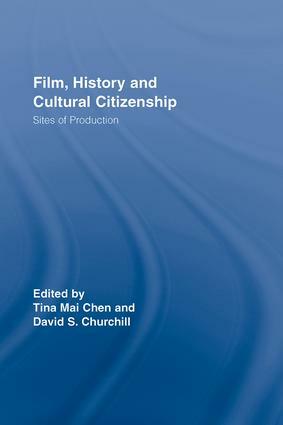 This new book investigates the relationship of film to history, power, memory, and cultural citizenship. The book is concerned with two central issues: firstly, the participation of film and filmmakers in articulating and challenging projects of modernity; and, secondly, the role of film in shaping particular understandings of self and other to evoke collective notions of belonging. These issues call for interdisciplinary and multi-layered analyses that are ideally met through dialogue across place, time, identities and genres. The contributors to this volume enable this dialogue by considering the ways in which cultural expression and identity expressed through film serve to create notions of belonging, group identity, and entitlement within modern societies. Tina Mae Chen is Associate Professor of History at the University of Manitoba, Canada, and co-ordinator of the Interdisciplinary Research Circle on Globalization and Cosmopolitanism. David S. Churchill is Assistant Professor of US History at the University of Manitoba, Canada, and co-ordinator of the Interdisciplinary Research Circle on Globalization and Cosmopolitanism.